It is widely and very wisely said that wine making is not just a science, but is a combination of art and science intensely driven by the passion and skill of the wine maker. We always wonder, what must be going on inside those fine vineyards and distilleries and what magical process must it be that gives out such an outlandish product. Well, say good bye to the days when wine making was a great mystery to you, for we bring out the joy and art of home brewed wine making to you. Wine making at home is just about being careful and patient while you let your baby brew beautifully in to that exotic elixir of exuberance. The most important knowledge required in wine making at home is the knowledge of ingredients. 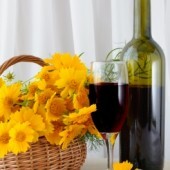 As we all know, wine comes from grapes and thus grapes are the main essence of your product. You need grapes and lots and lots of them. 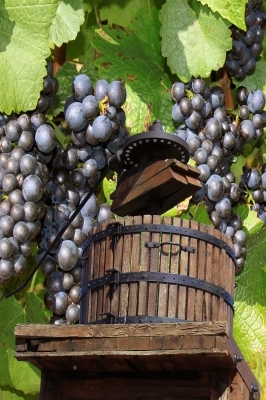 You can make an approximate based on this information; to make about 4 liters of home brewed wine, you will need approximately 1.5 kilograms of grapes. Black grapes are the best ones, the dark green or dark grey ones will also do but the blacker the better. Sugar is another major ingredient, which shall be used in huge quantity; for preparing 4 liters you will need 1.5 Kilograms of sugar. The best sugar to use is the clean and pristine white variety, whiles the dirty or discolored one is a strict no-no. We tell you this, because the color in the sugar is always due to some chemical or other agent which usually spoils the taste of the wine. Yeast is equally important, for often wine is referred to as the wedding of grape juice and yeast. Though used in a very small quantity; say 15 grams for 4 liters of wine, the fermentation it does is the most vital element of wine making. Other ingredients include water, 2.5 liters sufficient for the 4 liter quantity. To kick start wine making at home you should get wine making kit. Thus, all these elements constitute your wine and a study of these is advisable before venturing out for your wine making at home. You can take Jeff Cox’s “From Vines to Wines: The Complete Guide to Growing Grapes and Making Your Own Wine” guide book to make delicious wine at home. This is one of the best guide book on wine making at home.